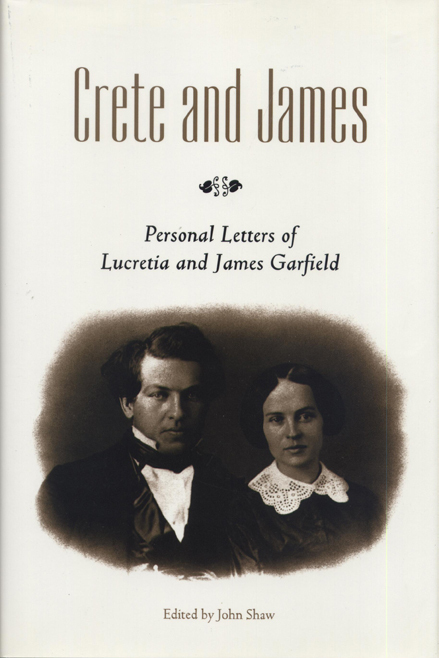 Crete and James is a collection of letters exchanged by James A. Garfield and Lucretia Randolph Garfield during the mid-nineteenth century. Of the 1,200 or so letters written, the 300 included this work chronicle their courtship and marriage, and also discuss the Civil War, political affairs, and the details of daily life during the years 1853-1881. In them, we watch Crete grow from a shy girl into a self-confident woman who guides her husband in social and political matters. Through James’s flamboyant yet scholarly style, and Lucretia’s detailed, perceptive insights, we come to know them as though they were our close friends. Through their correspondence, the reader also meets the many people involved in their lives. Crete and James will be of great interest to those studying women’s history. John Shaw was emeritus professor of English at Hiram College.